What a wonderful post… Please can you help me with your current template? Oh well, the template’s name is “Eleven40 Pro” by Studiopress. Costs $100. I run a blog at http://www.moringawealthandhealth.com that has Google AdSense. I am not satisfied with my earnings. Having read your post, I believe the same blog could fetch more from same AdSense if the adds are tweaked experimentally as you did. Kindly consider doing that as a service for a fee for me. Thanks in advance. Please o, whats the full link to NGFR? I’d love to have a peak. For some reasons, I won’t share the link publicly. Hy Sir, I really need your help and i will always like you to guide me through out my journey in blogging. I met you on narialand. Am a student of Uniben. I have a blog via http://www.saviourstep.wordpress.com . I open it about last 2 months and My plan is to make income with it. Am only using the little idea which i got from internet to manage it but my problem now is how generate traffic before registering it with Google adsense. That is, how can i make people to visit it always. My blog is a Christian blog. I don’t know whether i should open a blogspot or continue with wordpress. And again, can i be able to register to adsense while still attaching to wordpress or i should go premium before that? Please review my blog and direct me. If i can have your email so that i can be mailing you, i will appreciate it…… Thanks and God bless you. It’s good to know you’re determined to make money from blogging. But the truth is, you’ve chosen a niche that attracts very little attention and is very difficult to monetize. My advice is that you should choose another niche entirely, and get started on the self-hosted wordpress platform, because your present platform won’t allow you to monetize your blog. Besides, Google Adsense doesn’t accept religion blogs. So, if you have other topics you’re interested in, go for those, instead. I want to say that you are a committed blogger.Though today is the first time I will be coming across you online…I think I really love what you are doing.But with respect to Adsense and religion blogs…I think they do accept them.For example,I have a blog here http://www.manyprayerpoints.com and my adsense is on it. I once read it somewhere online that Adsense does have its reservations against religion blogs and blogs on a few other topics. Maybe your case is an exception. But nonetheless, truth is, that niche is not an easy one to monetize. As for your issue with PayPal, let me start by asking how you managed to open a US PayPal account. Are you based in the US? If not, then it’s like you’re on your way to losing that account. Opening paypal in Nigeria (before they gave us partial allowance to open it in Nigeria) was relatively easy then.Payoneer will give u a US bank act and ship a master card to you in Nigeria,free of charge.The problem now is that Paypal and Payoneer are no longer working together…its like they had a clash. See,I have been using that Paypal Act without stress.I was getting money into it by selling my ebooks and was spending the cash on softwares and subscriptions. but the painful thing is that the total generated revenue is not even up to 2$USD, I don’t know what to do,pls come to my aid…and can more than one blog use a single AdSense account???. thanks coach. Man you’re doing a good job. I key into this as well! 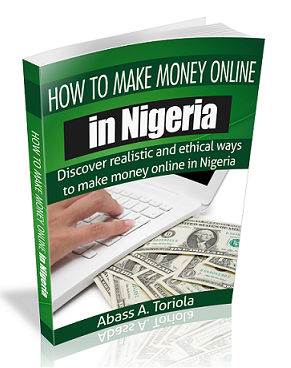 any Nigerian can build a website of theirs. My Question! Is it better to start a blog on blogger and add a custom domain name for adsense or hosting +WordPress+domain especially for adsense. I will like you to make a few comment its targeted to overseas audience, I will add a custom domain to it later today. Thanks for your complements. As for your question, I’d strongly recommend you start with WordPress right away, especially since it’s targeted at a foreign audience. 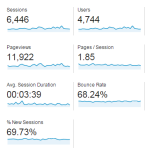 Thanks Abbas for the blog post on Adsense. 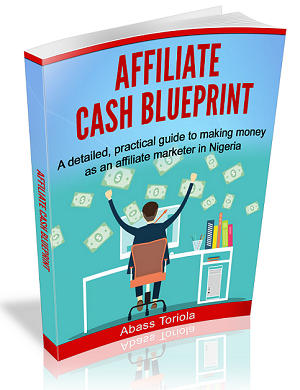 Firstly I got to your blog through a mention about your Free ebook on Nairaland from one of your happy subscribers. I am happy to have e-met you! I blog about Moringa @ http://www.moringawealthandhealth.com. But I am not satisfied with my Adsense earnings. 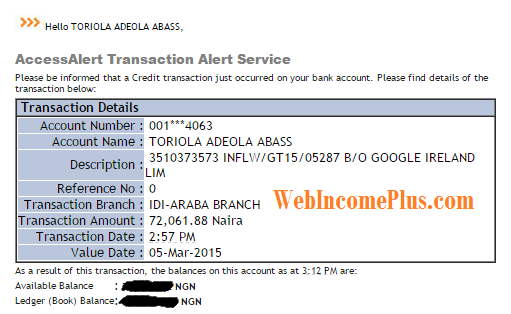 Kindly help me on how I can increase traffic to at least 1500/day and also increase my earnings. Thanks bro! The site is loading too slowly. That could be due to your theme or the background/header design. The header banner is too big. Simplicity does it nowadays. There’s a “make money online” link in your top menu. What’s that doing on a blog about moringa health benefits? So, I’d advise you to make necessary corrections. Nonetheless, you’ve chosen a promising niche. 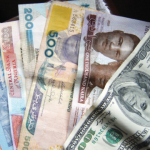 But to really attract more traffic and generate more Adsense earnings, you need to target a global audience rather than a Nigerian audience. Then you need to focus on SEO and keyword research. A nice discussion here and I’m glad I’m now getting somewhat acquainted to this blog. David posed great questions and you did well in giving great and detailed responses. Stan said his mind and I also checked his site. Think he’s doing well and he should have stated all his package, had he done that, he wouldn’t have been tackled whether here or on nairaland. Overall, you wrote a very nice post here and I must confess that even though I’m making money with adsense, affiliate marketing is still the best. I’m just digging adsense too. I remember I hated it before but because I’m now into entertainment and I’m getting good traffic, I figured out it would make sense to try it out. 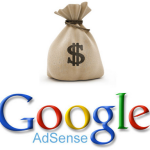 Both Google Adsense and Affiliate marketing are all good ways of monetizing your contents. But it all depends on their suitability for your blogs. In some of my blogs like http://www.businessparrot.com, I use Google Adsense (though I am still waiting for the adsense account to be upgraded to a non-hosted accoun). But on some other CMS that I manage, I go with direect information selling and affiliate marketing programs. This is a serious discusion thread here @ WIP. Most of the commenters have said it all. Google Adsense look very good to use for site Monitization from the beging, but I think I agree with Abass about using information Marketing and Affiliate Program, I have being using information Marketing i.e creatung a product to monitize most of my blog and I can say, information marketing rocks. 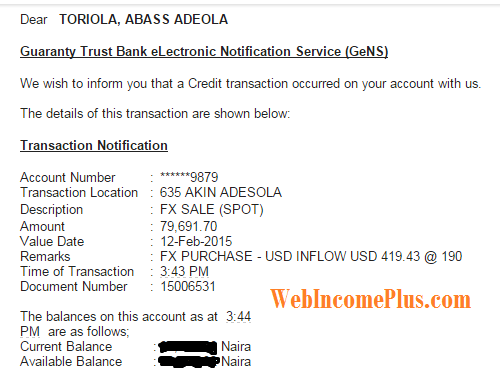 Great Abass, I’m astonished to hear you said google adsense is now making sense unlike your former post on the concept. I could remember in one of your post in April 2014 your friend Akaahan Terungwa didn’t agree with you that google adsense didn’t make sense. He therefore, gave you some strategic measures. Did those strategies add to you success or you don’t even make use any of them? I wish you many more success in all your undertakings. From what I can remember, Terungwa suggested some programs that I can use to make my Adsense ads display on mobile devices. Truth is, I didn’t use any. This is really helpful and encouraging. It’s great to see that you are not afraid to coreect your previous statements..you truly want people to get facts. It will be awesome if you did a post on the process of applying for and being accepted into the programmed for google adsense? I can google it yes, but it will be awesome to also follow the guidelines from here. Thanks for your comment and suggestion. To be frank with you, nobody can guarantee acceptance into Google Adsense. There are times when you’ll do all you’re supposed to have done and still have your application rejected. Though you’ll find some tips online that will boost your chances of getting accepted, implementing them is still no guarantee you’ll be accepted. It’s just not funny! I’d recommend you go with a paid host that offers free domain registration (such as Midphase). I can even set it up for you for free. Click the “Free blog setup” link at the top of this page for more info on that. Seems I-Jay is a rare breed in Nigeria. Its nice to know some people can still be trusted in Naija. Also I still believe AdSense is better than affiliate marketing. 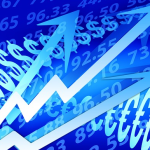 Can you shed more light with stats on why you believe its better than AdSense? 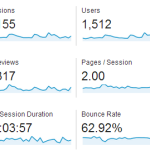 Firstly, to make as little as $100 monthly from Adsense, you’ll need to generate about 1,000 daily visits. But even with just 100 daily visits, you can fetch as much as $1000 per month (by making just 10 sales of product that pays $100 commissions per sale). You get it now? Secondly, if you check the blogs the most successful bloggers on the web, you’ll never see Adsense ads, despite the fact that they attract tens of thousands of visits daily. Check Problogger.com, Smartpassiveincome.com, Techcrunch.com, Mashable.com, Engadget.com, and Huffingtonpost.com, then tell me if you can find Adsense on any of them. Yet, those blogs generate several thousands to millions of dollars in monthly revenue. If Adsense is as good as the monetization methods adopted on those blogs, it would have been used. Thirdly, with Google Adsense, you’re at the mercy of Google. If you account gets banned for any reason, that’s the end. But that doesn’t happen with information marketing, affiliate marketing, etc. Do those facts convince you now? Well, to an extent i do but also note that premium adsense publishers are given extra freedom to modify their ads so some ads which are actually adsense do no look like the regular adsense you would see on other smaller sites. Most of those private sites run private paid ads bcos they are well known and not really affiliate ads. Also you can stay a whole month and not sell a single product through affiliate marketing. Yes, you can stay a whole month and not make a single affiliate sale — that’s if you’re not a good marketer. 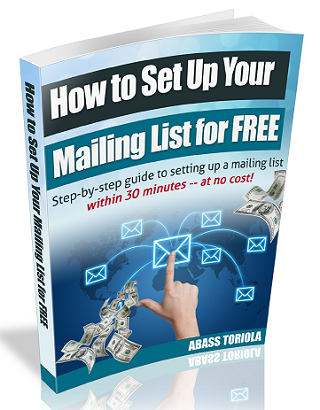 Hardworking affiliate marketers who know their stuff make sales consistently by selling to their mailing list subscribers. Raise the argument anywhere among pro bloggers, and no one will agree with you that Adsense is the best monetization strategy. Whoever hold that opinion obviously is yet to realize how far more profitable other options are! 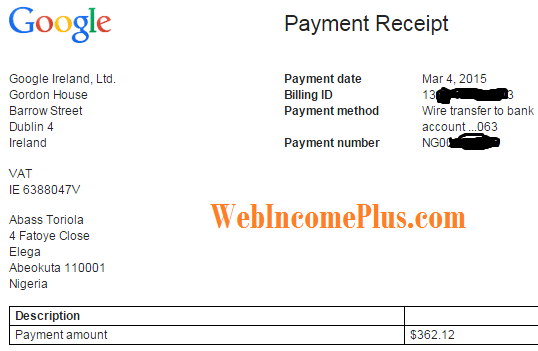 It’s not in my plans to monetize this blog (WebIncomePlus.com) with Adsense. Your words are so on point, no beating about the bush. Each time I read your posts, they always sound like Lee Murray’s. Were you mentored by him? Thanks for your kind words. Well, as for Lee Murray, I don’t know him and I’ve not even heard his name before now. @Mhizta Knicks – (I value good name more than Gold & Silver) Nice one, stating your professional charge will not give you a bad name unless you did not deliver your promise. Why should I be angry or hurt because you are giving me a piece of advice – I am happy for your teaching. I do much of WordPress, Php/MySQL than other stuff. Thank you all. From the look of your website, it’s obvious that you’re a brilliant web developer and you really know your stuff — no doubt. Nobody is saying your shouldn’t charge for your services. Of course, we’re all out to make money. But the only way to make people patronize you is to make your offer more valuable to the average person than the money you’re charging. That way, people will readily patronize you. You mentioned that you do teach your clients other things aside setting up their blogs. But you didn’t mention that aspect in your post on Nairaland back then. If you stated something like “Blog installation + Domain registration + intensive basic blogging tutorials for just N10k”, no one would criticize you for that. In fact, that looks more attractive than just stating the Blogger blog setup aspect. So, the strategy is to outline every benefit you will offer the customer. The more benefits you offer, the higher your chances of landing customers. Nice one there bro, just like Mr Abass had said, you should MAKE YOUR KEY-POINTS CLEARER on your advert or squeeze pages. that Way, no one will criticize you, it could even boost your convertion rate, i’d also advise you to edit the advert you are talking about… you rock!!! Oh, and about my payoneer card, i wasn’t contacted to know the condition or location of the card, i was told that it would be shipped between 16th to 23rd this month, that’s the last monday to this comming monday, but i didnt get anything, not even an email, i’m worried and confusef, isn’t there a way with which i could track the mastercard? Note that Payoneer does not give information about a card’s location unless you opted to receive it through express courier (which costs $50). Wait until the end of this week for your card. If you don’t get it by then, it may have been lost in transit probably because you left and address that is not easily traceable. Even if you don’t get your card, you can apply for another one. In that case, I strongly advise you to use a mailing address that is easy to trace and that has been severally used to receive letters and packages in the past. Wow, another great post as always, i’ve heard and seen testimonies that google adsense really ‘makes sense’ as a monetisation method for a blogger, more and more people are going to greater heights just to have it on their blog(s). 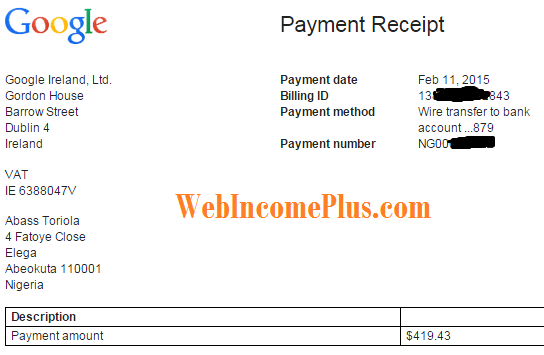 Have you heard that it is possible to purchase a google adsense account from fiverr @ d rate of $5 per account? What i really want to ask is, isn’t it too risky? As the person that sold it to you might later try something not even close to funny but more than irritating and annoying. Well, you guessed right, if i have spare $5, i’d try to go for the option of purchasing an adsense account if they happen to decline my application. There errors in my prevous comment and might be in this one too, they are just typos but my “ammount” with two Ms isn’t a typo error. Thanks coach, will be waiting for your reply. Well, I can’t vouch for such accounts. I’ve read many stories about people who bought such accounts and eventually got banned. But if you want to take the $5 risk, good luck! Nice response there to Stan, i think that is just unbelievable to comprehend paying such an amount for installing a free blogger blog.Then you will require human head to run a membership site. I do understand the fact you should not have mentioned names because if you been around the internet marketing sphere for some you will surely know them by their works. Keep up the good work and i must commend your humility and approach to this issue. Nice write ups I must say. Castigating people you feel their price is high has become your habit. You made the same comment on the Ad I Posted on Nairaland about Setting Up Blog (Blogger Blog with domain) saying it is to expensive at N10, 000. It is bad, thank God you have come to your senses. I won’t stop castigating people for charging too high for knowledge that is commonplace. What I actually regretted (as stated in my email) was the fact that I mentioned names. 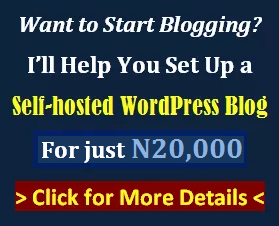 Why would you charge N10,000 to create a Blogger blog? A blog that costs nothing to install and can be setup in just 10 minutes? My approach is to avoid attacking personalities, but I won’t stop attacking actions that I think are not right. Rather than charge N10k for a blogger blog, why not render the service for free, and use that to get people on your mailing list instead? Then find some more valuable information to sell to them. You’ll gain trust and make money that way. Just a piece of advice. I won’t be surprised if you tell me nobody has paid you for that. Why would they? Even information on how to create a 3D ebook cover has more right to be sold for that amount than setting up a blog on blogger–something anyone can do with basic understanding of English language. I never even knew you were the one who created that post. But even now that I know, I just would advise you to offer something else. I can give you ideas if you contact me. And as for your closing sentence, it was highly unnecessary. Making a mistake doesn’t necessary mean you “lost your senses” (except that’s always the case with you as a person). Please, i don’t want you to get me wrong but really, that ammount is too much, there is one thing about me, i value good name more than gold and silver, a blogger blog is something i can create for another blogger without that experience for free, if i will charge atall, then i’ll be charging for my own custom template to be used on his blog, at most, costing 1k. It’s a good thing to help people, it’s good to make money with what you know, but it’s best to help people with what you are good at. I’m very sorry if my reply hurts you somehow, but its just that i cant stomach it, that account is really too much, it will be great if you can reduce it a bit. you can get yourself a little more familiar with wordpress, more people are more willing to pay that ammount or even more for wordpress blogs. My point really is, that price is too high for blogger blogs, it will be great if you can reduce it by atleast 50percent. 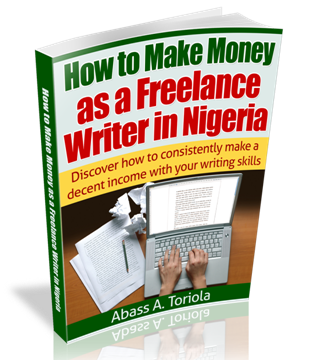 Don’t be angry please, its just that i can’t stomach it… you can contact Mr Abass for Enlightenment on Freelancing, you can still freelance as a pro webdeveloper. Stan, if this is how you write, I think you’re very indiscipline and unprofessional with your words. Your last statement is uncalled for. It could have read, “Thank God you realized this”. I understand that you didn’t like Stan’s words. But you made the same mistake you tried to correct (by using the word “indisciplined”). I know it’s a mistake anyway. And I’m sure Stan himself has realized his mistake too. Thanks for joining the discussion. You rock!